Ask any crocheter and knitter what their least favourite aspect of a project is, and many will give the same answer: weaving in ends and hiding knots. 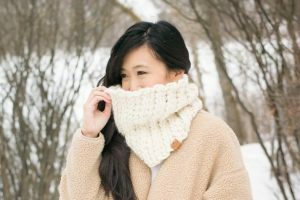 As one ball of yarn begins to run out and the need to begin another ball approaches, it can be bothersome, particularly with projects that require a lot of yarn skeins or projects using bulky, super bulky, or jumbo yarn where hiding the ends can be tricky. I will show you a brilliant technique to join yarn ends together that eliminates the need to weave in ends and make knots. By using this technique, less expensive yarn is wasted since you do not need to weave in ends! Felting is the process of shrinking and bonding animal fibers through heat, agitation, and moisture. Animal fibers are lined with tiny microscopic scales that interlock and tighten together through felting, forming a dense cloth/felt with a soft texture. We will learn how to felt yarn ends together through agitation using a felting needle! Felting needles have barbs/notches on them, and when you repeatedly jab at the yarn (agitation), it causes the fibers to interlock together. 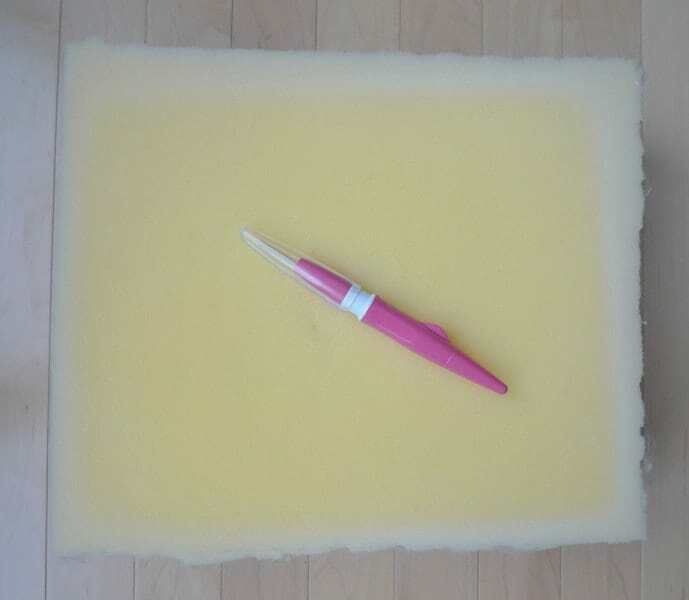 Felting board – I use a piece of high density foam. Clover makes a large felting mat HERE. 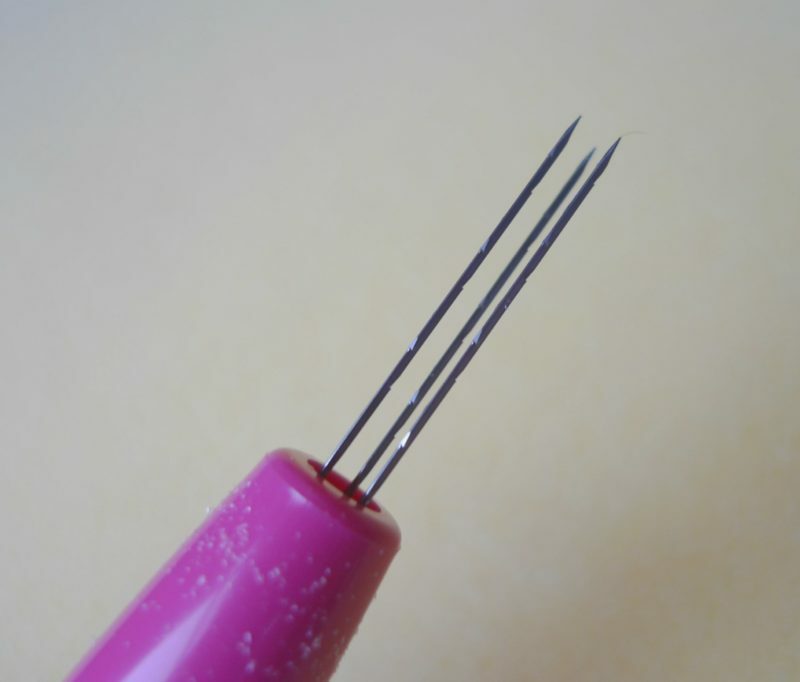 Here is a close-up of the barbs/notches on the felting needles! 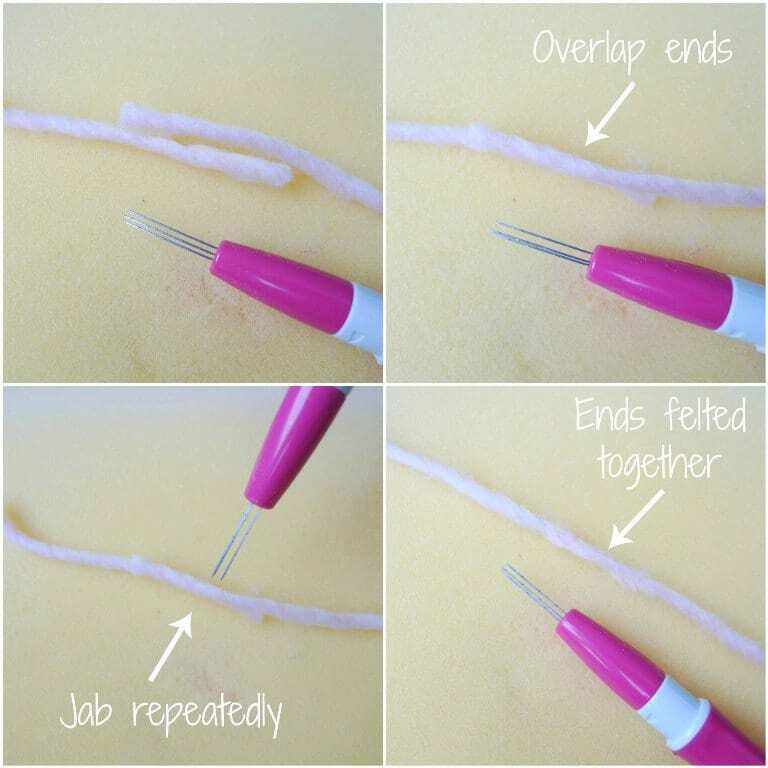 Keep in mind that you cannot use regular sewing or tapestry needles to do felting as you need these barbs/notches to cause the fibers to interlock together through agitation! To begin felting the yarn ends together, place one strand ontop of the other, overlapping them about 1.5″ (4 cm) to 2″ (5 cm). You want to have a decent length to felt together so that the resulting piece is strong. Begin jabbing the yarn together, moving along the overlapped section. Periodically lift the yarn up, rotate it, and jab it some more. You want to be thorough when interlocking the fibers together to ensure that the fibers are getting agitated from different angles. Keep repeating this process until the yarn appears to be one cohesive piece and some tugs ensures that the ends will not come apart. 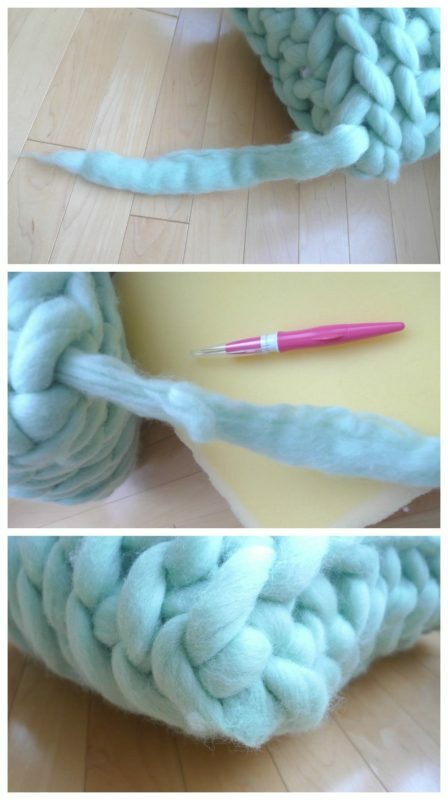 Smooth the yarn by rolling it between your fingers if necessary. Continue on with your project! Here is a video showing felting in action! 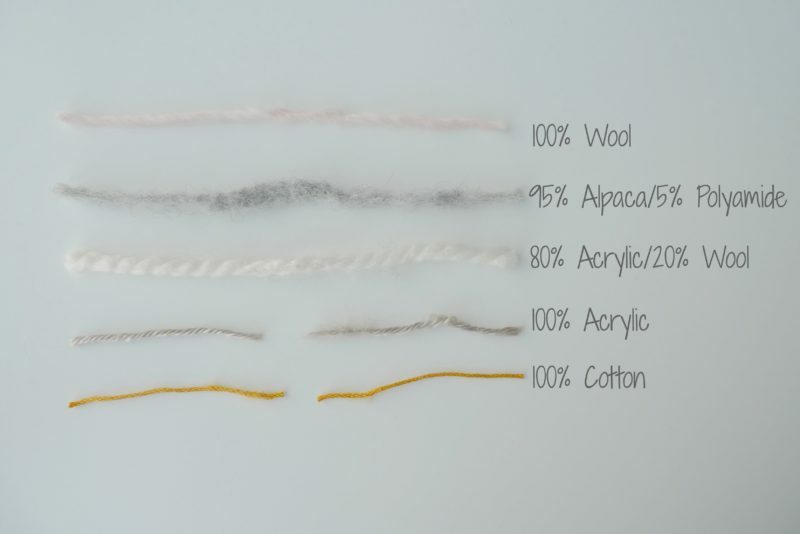 As you can see, this technique of felting yarn ends together works with wool blends such as the ever popular Wool-Ease Thick & Quick Yarn with its 20% wool composition! 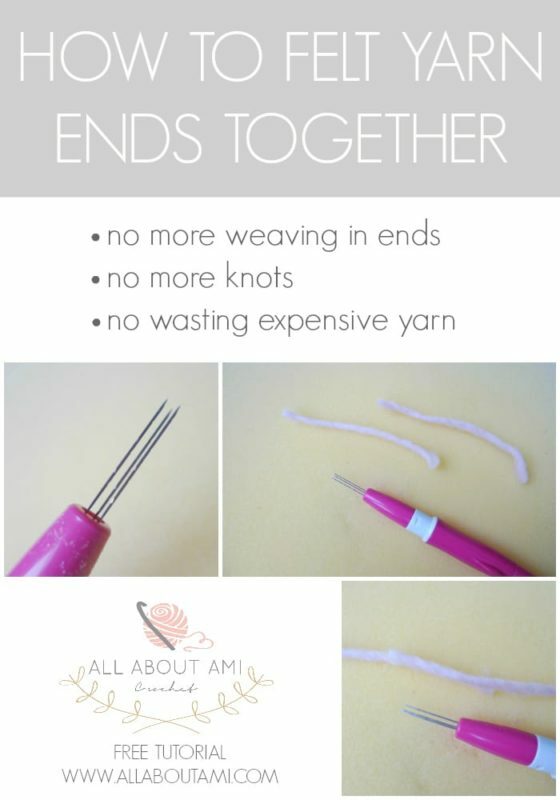 This is great news for those of us who use this yarn frequently and I was delighted when I first tried this technique and it worked! I would test out this technique with small strands of yarn that you are unsure about, as it may not always work with different yarn blends. You want to make sure that you have enough yardage when doing your projects (i.e. don’t assume that certain yarns will felt). Check out this video below to see me attempting to felt five different types of yarn ends (you can also view this video on YouTube HERE! Felting ends is particularly useful when doing extreme knitting and crocheting since hiding such huge ends is troublesome, and the wool itself is very expensive. Below you can see some pictures of when I felted my ends together in my “Extreme Crocheted Rug” project! 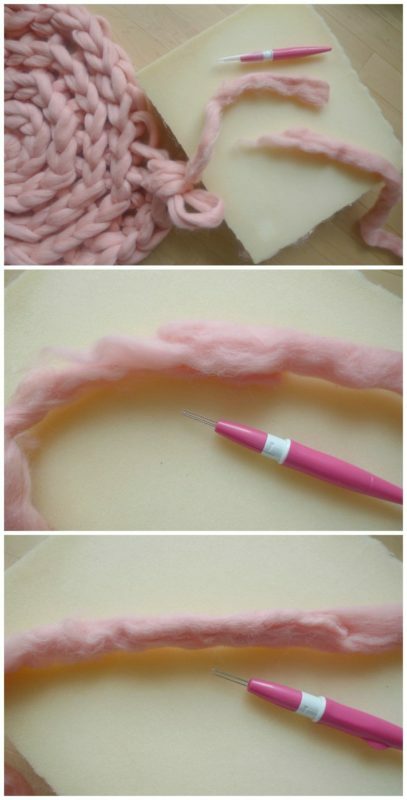 You can also use this brilliant felting technique at the end of a project when you want to hide just one end. You place the yarn end ontop of the finished piece by choosing a strategic location where it will blend in. Then, you simply use the felting needle and do the same technique as described above, this time felting the yarn end with the rest of the piece. Below you can see some pictures of when I felted my wool end with the rest of the piece in my “Extreme Crocheted Cushion“. Sarah of Mama Knows Luxury has put together a more in depth video to show “Felting to Finish Ends” HERE and she also has a “How To Use Felting to Join Yarn” video HERE! This felting technique is a game-changer as it eliminates the need to weave in our ends, tie knots, and waste yarn. I hope you are able to apply it to your knit and crochet projects! 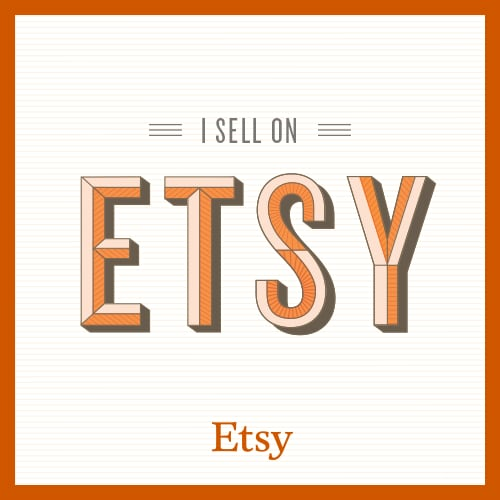 If you’re interested, Sarah of Mama Knows Luxury sells handy felting kits HERE in her Etsy shop that include the barbed needles, underpad, and thumb and finger protectors! So far I have been careful enough not to jab my own fingers, and let’s hope that continues! Thank you for reading, everyone, and happy felting! Feel free to pin the below collage to your Pinterest boards to remind you about this tutorial and to let others know about this very useful technique! P.S. Check out Facebook and Instagram to win your very own Clover Felting Needle Tool!! !